DIAPOROS ISLAND & "BLUE LAGOON"
CRUISE #6: Swimming Cruise – Blue Lagoon. From Ormos Panagias. Enhance your holiday experience in Greece with this all day cruise for swimming and BBQ onboard. 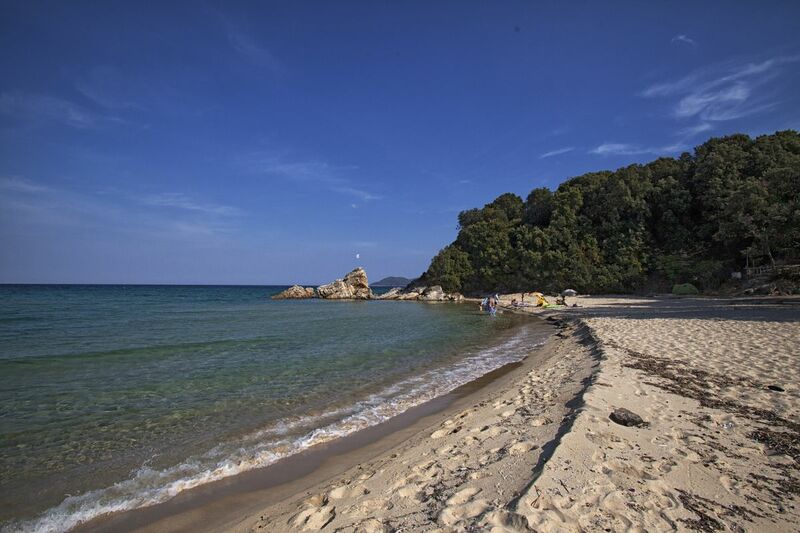 Dive from the boat, swim in crystal clear waters explore sandy beaches and enjoy the Greek sun! Our cruise begins at 10:00 from the port of Ormos Panagias in Sithonia and head southeast to Vourvourou. 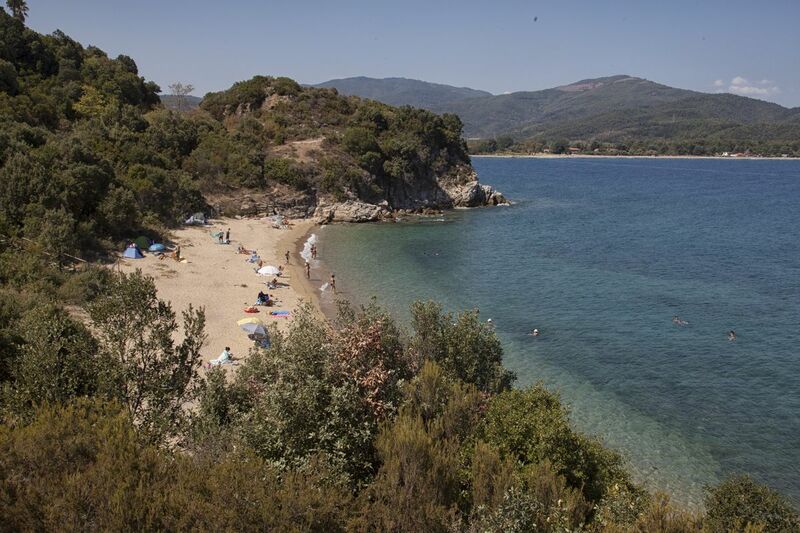 After 30 minutes of sailing we reach a small bay "kryftos" where the island of Diaporos is located. Diaporos is an uninhabited island, the biggest one from a group of 9 islands, opposite of Vourvourou. 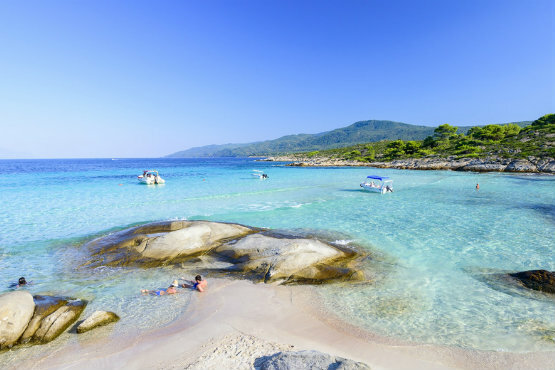 We drop anchor here for about one hour and a half, where you have the chance to swim in crystal clear water also known as "Blue Lagoon", explore the underwater world, and enjoy the beautiful Greek sun. While you enjoy the sun and sea our crew members are preparing your lunch. A delicious barbeque accompanied with Greek salad, bread, tzatziki and a glass of wine are waiting you onboard after your swimming adventure. And if you are a vegan, you don’t need to worry. Contact with us at least one day before the cruise and we will prepare something especially for you! Afterwards we set sail northern for the island of Ammouliani, a small picturesque island with natural beauty which is the only inhabited island of Halkidiki. We stay here for about 45 minutes where you have free time to enjoy a walk to the traditional small streets of the island, or you can choose a traditional Greek tavern to enjoy fresh fish and various local traditional dishes, or just to enjoy an ice-cream in one of the harbor’s charming waterfront coffee shops. We end up at a natural heaven, a marvelous place which looks like a painting. A complex of 6 small islands known as “Drenia” or “Donkey islands” (gaidouronisia in Greek). We stay here for about 45 minutes, a perfect opportunity for swimming in crystal clear water, snorkeling around and exploring some of the amazing secluded beaches of islets. At 16:00 we pull anchor and sail back towards Ormos Panagias, where we arrive at 17:00. During the return journey keep your eyes open for dolphins as we cross their swimming waters. If you're lucky enough you will get some snapshots that will make your cruise an even more memorable experience. 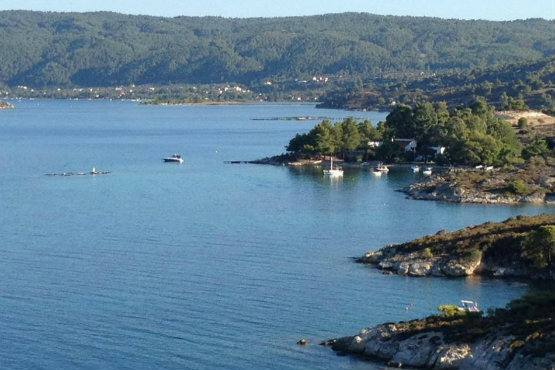 Swimming Cruise "Blue Lagoon" is available every Tuesday at 10:00 from the port of Ormos Panagias.